International Container Terminal Services, Inc. (ICTSI) has submitted a proposal to the Philippine Ports Authority (PPA) to develop two ports in Iloilo – the Iloilo Port Complex and the Port of Dumangas, an investment estimated to cost over P5 billion. In line with the future development needs of Iloilo and the Visayas, ICTSI submitted a Letter of Intent to modernize the ports’ infrastructure and superstructure, and to eventually manage and operate the two Iloilo ports. Overall, the company hopes to be able to assist the port authority in its goals to upgrade the Philippine port network in the hope of facilitating inter-island and international cargo movement. ICTSI hopes to arrive at an agreement with the PPA that will be compliant with PPA rules and regulations and applicable laws. ICTSI also intends to bring to the Iloilo ports its know-how in managing ports honed from its 30 years of experience across the 30 ports that it operates worldwide. Over the life of the concession that will be agreed on with the PPA, ICTSI has estimated an investment of over PhP5 billion to fully develop the Iloilo Port Complex. An integral part of this investment will include the dredging and deepening of the port itself and the channel to allow the direct entry of new generation, international vessels. New port equipment to be brought in during the first phase alone has been estimated to cost PhP1.35 billion, and will include modern quayside crane handling equipment. ICTSI is also offering to substantially invest in the development of the Port of Dumangas in order to seamlessly handle the spill over from the city port. 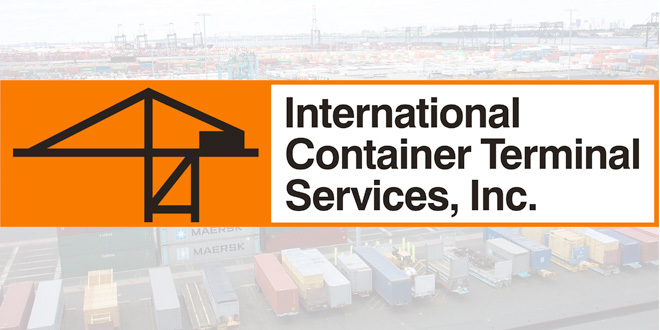 As with other ports that it operates, ICTSI will introduce new systems in operations, engineering and administration. The introduction of automation will further promote efficiency and security. With its excellent relationship with major shipping lines, the ICTSI commercial team will promote the services of the Iloilo ports. And as with its other ports, ICTSI hopes to employ local talent that will operate the ports. Last but not least, ICTSI also hopes to roll out engagement programs for port users to ease business transactions.